By Chasta Hamilton Calhoun, The Dance Exec. 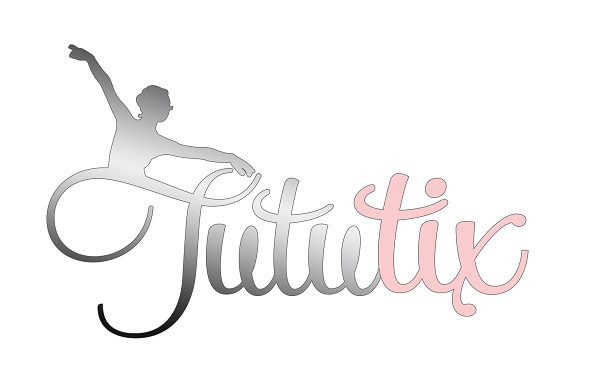 Utilizing a unique software program coupled with award-winning customer service, TutuTix offers a platform designed to meet a dance studio’s unique needs by allowing users to create custom promotional codes, separate selling options, and accommodating high demand capabilities. Over 600 studios throughout the United States have embraced this evolution and movement. With TutuTix, a seating chart is submitted to TutuTix (based on your recital venue), and an online page is created for your studio’s ticket sales. Beyond that, your studio receives a custom ticket sales app for your studio’s Facebook page and a specific toll-free call center for your studio’s use. With your direction, your clients go online and or call to purchase their recital tickets. 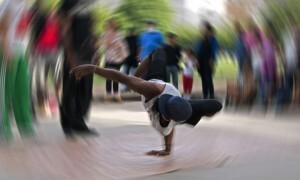 TutuTix can accommodate reserved seating, general admission, or hybrid requests (half reserved/half general admission). Attendees receive an e-ticket via their email, or for a nominal, additional charge, a souvenir ticket custom designed with their child’s name. For pricing, studios set their own ticketing price point(s). TutuTix receives a $1 per ticket commission and charges a 5% credit card processing fee, which is typically passed along to the patron at no cost to the studio owner. Ticket sales begin and end at your direction, and you have the ability to sell remaining tickets at the door. TutuTix pays out ticket proceeds weekly via direct deposit. TutuTix’s passion for the success of dance schools is evident, as they happily spent this summer traveling to varying teacher conferences so that they could continue meeting the specific needs of dance studios. In fact, a few years ago, Pamela Scheuerman, of the Tolbert Yilmaz School of Dance in Roswell, Georgia, met TutuTix at Dance Teacher Summit. Scheuerman’s studio converted to the TutuTix system, and the school’s management and client base have been beyond satisfied with the complete ease and convenience of the process. Other clients agree, as evidenced by overwhelmingly positive reviews. Right now, TutuTix is offering a special to Dance Informa readers. 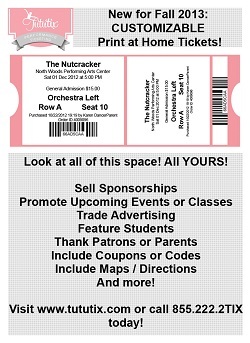 If you go online to www.tututix.com/getcrackin before September 30, 2014 and enter the promo code “INFORMA2014”, you can get a free seating chart set up, free overnight shipping of door tickets, and 100 free door tickets!